This disclaimer sets and explains the regulation of our company. The Private Security Ibiza Limited(PSI) registration company house number is 09273505. This disclaimer will be governed by and construed in accordance with English law, and any disputes relating to this disclaimer shall be subject to the exclusive jurisdiction of the courts of England. Private Security Ibiza limited (PSI) is incorporated regulated and operates internationally. Private security Ibiza limited acts in compliance with the Spanish Law 5/2014, of Private Security and rest of Spanish regulation of private security, Private security Ibiza limited does not carry or render in Spain any of the services detailed in said Law, namely: private investigation, deposit and custody, armed bodyguards, CCTV and other surveillance methods or activities, and any other defined in Law 5/2014. Limitations of liability – The information on this website, our paperwork, marketing, advertising or otherwise, is provided free-of-charge, and shall not be taken as an offer to provide such named services in the kingdom Spain. We may revise this disclaimer from time-to-time. Please check this page regularly to ensure you are familiar with the current version at the time of consultation. Our international close protection team member’s are hand picked for their key skills gained from being former British Special Forces and former specialised military service men and women who represent the very best of British values. We have carefully selected all our professional’s for their complete understanding of high profile client privacy and total discretion protocol. Our professionals are highly trained, disciplined, refined, polished and extremely courteous bringing a high level of experience in bespoke close protection, VIP management and privately assisting world famous celebrity profiles, foreign royalty, executive, government diplomats and high net-worth clients. Our personnel hold internationally recognised qualifications in security consultancy, risk management and front line close protection, fully compliant with all current European laws, holding close protection license’s including the security industry authority license registered under the UK home office, for more information you can visit the home office website. Medically Qualified in Emergency First Aid and Basic Life Saving. All of our personnel are medically qualified and accredited by the royal college of surgeons, producing all of our operators supporting documents including police clean criminal records before the start of any assignment. Whilst many companies claim these qualities and attributes not all can deliver in the way that Private security Ibiza limited do. Private Security Ibiza Ltd will only use the personal information supplied by the user for the purposes for which such information was provided, including to market our services, to invite users to participate in conferences or events, to provide a service to the user, to personalise content that users view or receive on the Site, for recruitment, to fulfil a legal obligation or to compile anonymous statistical analysis. Where required by the reason for which the personal information was initially supplied by the user, personal information may be shared with Private Security Ibiza Ltd affiliates and associated companies as well as third party service providers who perform services or functions on our behalf, under the protections required under applicable law. Private Security Ibiza Ltd may also be required to disclose personal data to government and other public authorities who have a lawful right to demand the same (including to meet national security or law enforcement requirements). It will do so where required in accordance with applicable law. The security and protection of personal information supplied by a user to the Site is of the highest importance and concern to Private Security Ibiza Ltd. 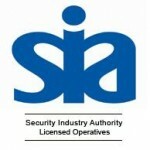 Private Security Ibiza Ltd has in place all generally accepted standards of technology and operational security in order to protect personal information submitted to the Site from loss, misuse, alteration or destruction and to ensure compliance with the requirements of all applicable data protection and privacy legislation. Not withstanding the arrangements set out above, a user of the Site submits personal information to the Site at the user’s own risk. This Web Site may contain links to other web sites, which are provided solely as a convenience to you and not as an endorsement by Private Security Ibiza Limited of the contents of such other web sites. Private Security Ibiza Limited is not responsible for the content of any other web sites and does not make any representations or warranties regarding any other web sites or the contents or materials on such web sites. If you decide to access other web sites, you do so at your own risk.